Canna-Pet® is NOT a pharmaceutical. It is a benign, organic hemp product that you can feed with confidence. You do NOT have to make any adjustments to your current medications or supplements. Canna-Pet® operates along completely separate biochemical pathways (the ECS system) from any products you currently use. Simply add Canna-Pet® alongside your existing regimen of products, and we expect your pet to feel the cumulative benefits quickly. 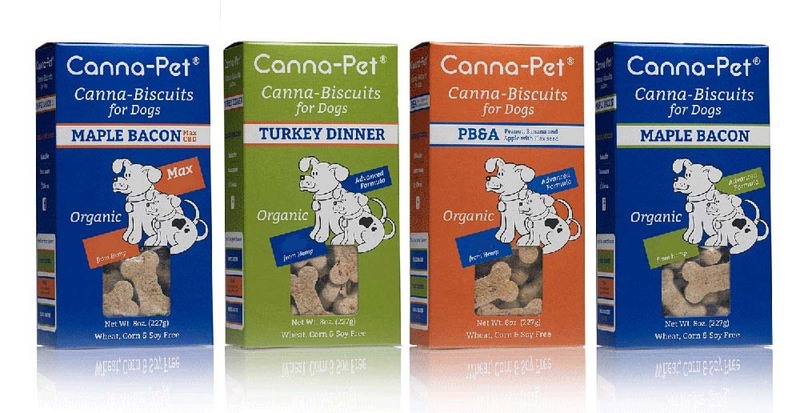 For dogs, Canna-Pet® Advanced and MaxCBD capsules should be given twice per day, with meals. Most cats can be maintained on one serving of Canna-Pet® Advanced or MaxCBD per day. Open capsule and mix directly into your pet’s regular food. Or, place the capsule into a pill pocket or treat. The goal is to get the entire content of each capsule to your pet – whatever works best. If your pet isn’t eating, and you are not comfortable feeding capsules directly, we suggest you use our MaxCBD Liquid product. If your pet is not eating reliably, and you are not comfortable feeding capsules, liquid is a terrific option. Cats DO NOT like the taste, and instead should use our Advanced capsules. A 10ml container contains 300 drops. Pets under 20 lbs, start with 2-3 drops (0.1ml) at a time, 3-4 times per day. Pets over 20 lbs, start with 3-4 drops (0.1ml) at a time, 3-4 times per day. Put drops directly into your pet’s mouth, ideally under the tongue. Biscuits can be given anytime as an organic treat. You may e-mail support@canna-pet.com at any time with questions on feeding instructions.